G0KSC has become well-known for his very different and innovative designs which always look to achieve maximum radiating efficiency without matching devices, traps, coils or other 'power-sapping' devices used in multi-band antennas. The DESpole is no different in this regard as it has an individual full-sized element for each band and the ends of the longest elements are turned down towards ground (see below photo) in order to achieve a smaller turning circle. 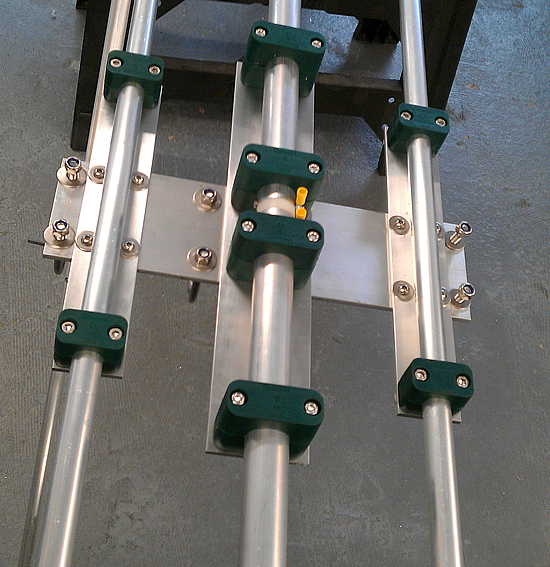 The result is a practical, very efficientHF rotating dipole suitable for all locations. 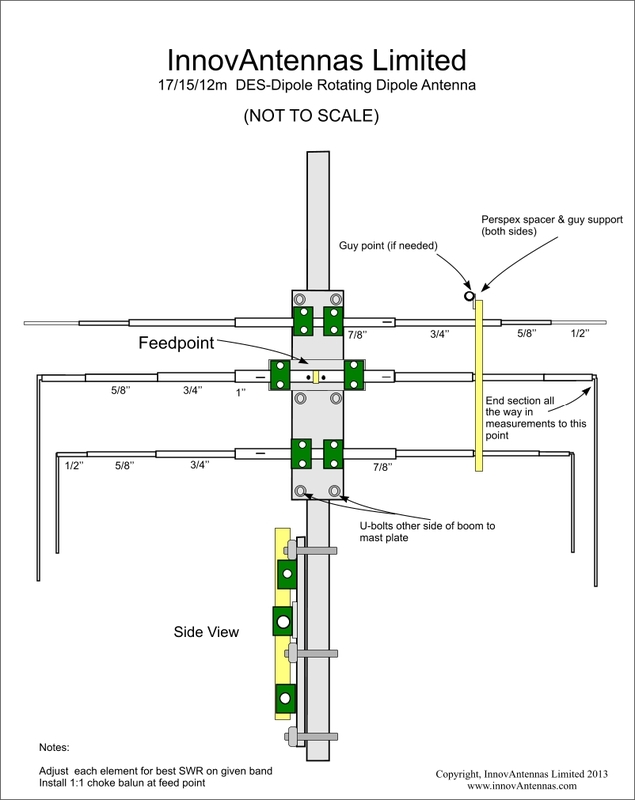 So if you are happy with your current multi-band vertical or rotating dipole, just think of how much happier you will be with a Low-Loss, highly efficient DESpole! The DES-Dipole is typically supplied in 2 or 3 band versions of which there are a number of variants. However, if you do not see a band combination you would like, mail us as it might be just around the corner! The 17m element is made with a six section taper starting at 25.4mm (1') finishing at 9.525mm (3/8''). The 15m section has 5 tapers starting at 22.25mm (7/8'') and finishing at 9.525mm (3/8'') while the 10m element has 3 sections, the centre being 22.25mm (3/4'') with 15.88mm (5/8'') tips. All elements are insulated and stainless steel hardware is used throughout. Our antennas are constructed with the best quality materials in order the best mechanical construction can be achieved, not the cheapest and most profitable! Even a digital caliper is used (with an accuracy of .01mm) to measure the elements during production to ensure they are within 0.2mm (on critical bands) of what they should be, this ensures they work as well as our software model predicts. 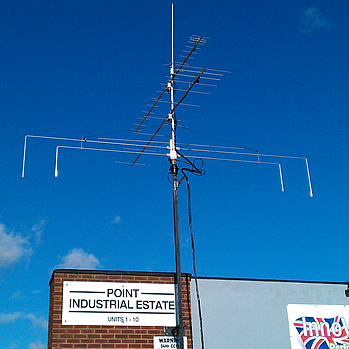 The above photos shows the DES-dipole centre and the very high standard to which it is made.